I did several quick pen and ink studies for a spot illustration I worked on about a month ago. Before posting up the finished piece, I thought it would be fun to show some of the process work behind it. I always enjoy looking through other artists' sketchbooks. There's something about the rawness and unedited qualities of a sketch that just can't be replaced. It's also fun to see who artists are studying and referencing as they create their artwork. 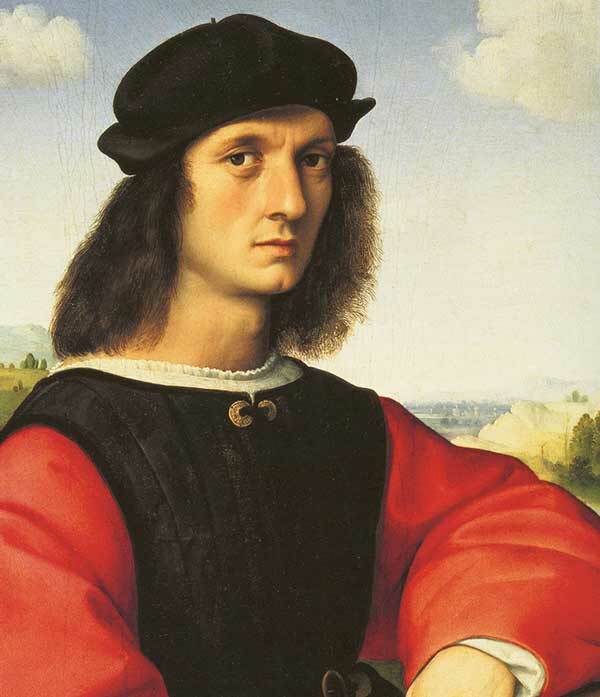 When I first got the idea for the spot, Raphael's Angelo Doni jumped right into my head as the portrait that I wanted to include in the illustration. 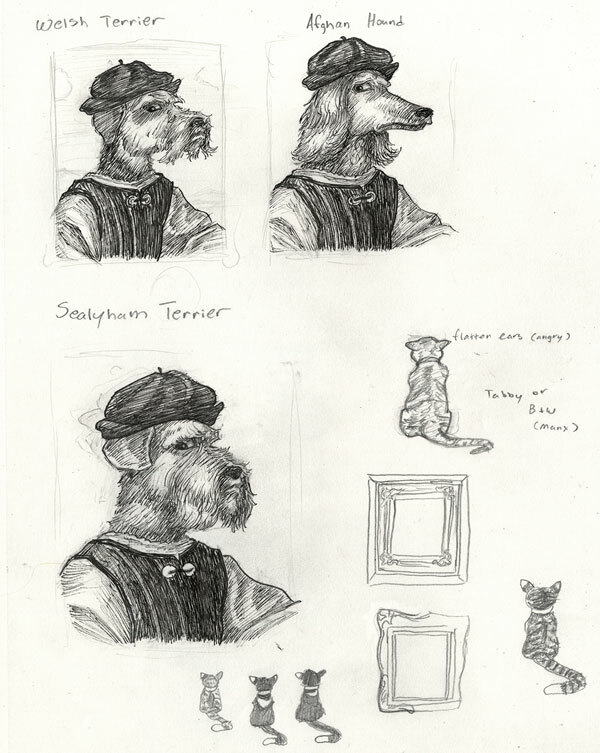 Immediately after, I did some quick pen and ink studies of different types of dog heads to put onto the body. In the final illustration, I chose the Afghan Hound because of his hair and elongated muzzle, both of which resemble Doni's hair and long nose. Any time I have the opportunity to peruse my art books for an illustration project, I eagerly embrace it!